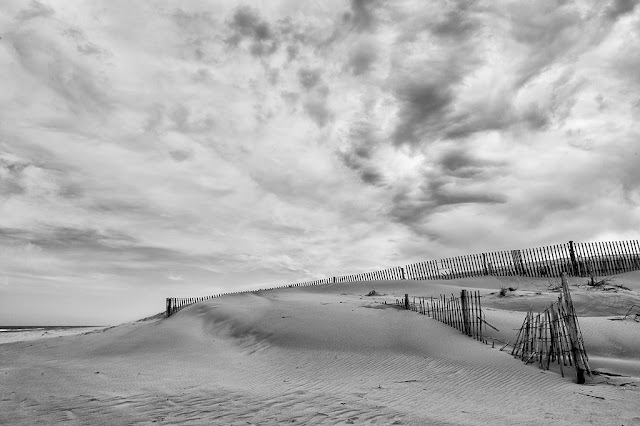 Karen L Messick Photography: White or Bright Overcast Skies Work, don't run from them! White or Bright Overcast Skies Work, don't run from them! Handheld Nikon D4 ISO 400 28-300mm lens f-16 1/200 sec VR on. When I first started making images, it was suggested that white or bright overcast skies in landscape photography, are to be avoided. In other words keep them out of your images. But I have learned to embrace white or bright overcast skies and not run from them. White or bright overcast skies for me, work well alone in monochrome conversions and are especially good with textures. 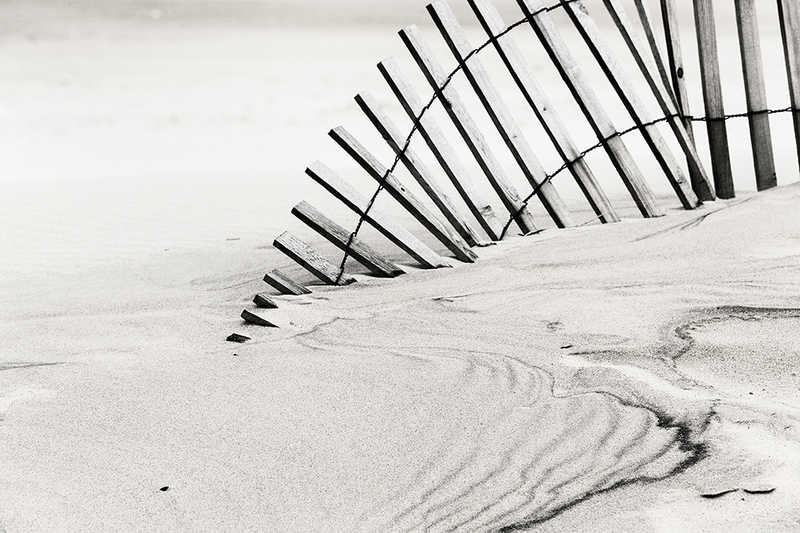 Yesterday was a windy, cool, desolate day on the beach. I think the the bright skies added to that feeling in the opening image. 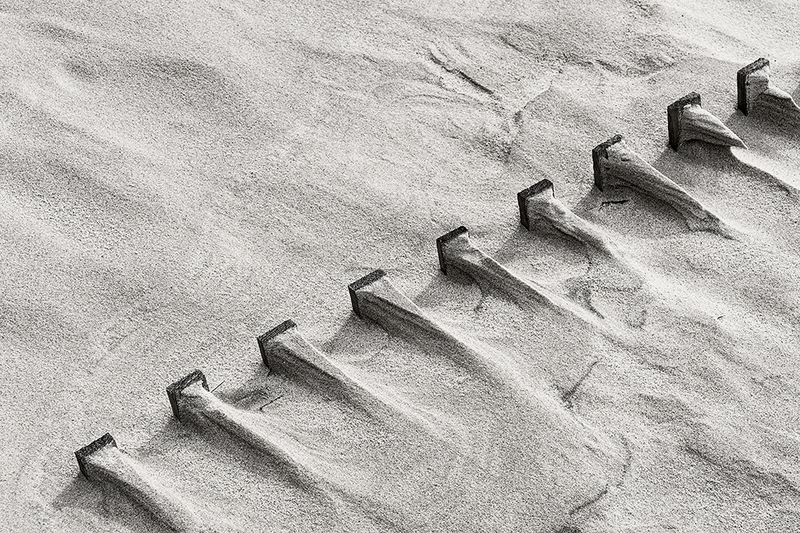 The sand was blowing across the dunes and there was not a person in sight. 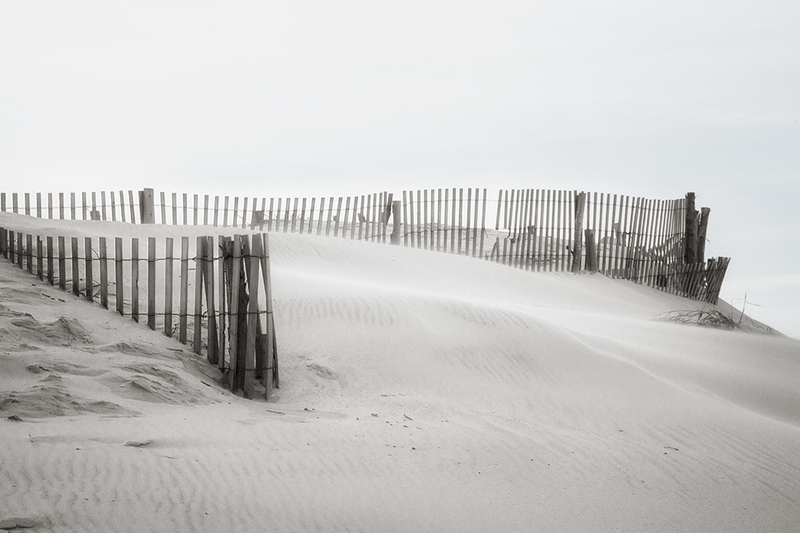 I loved how the dune fences had deteriorated due to the harsh winter weather. Sand was piled high and fence tops in places were barely visible. 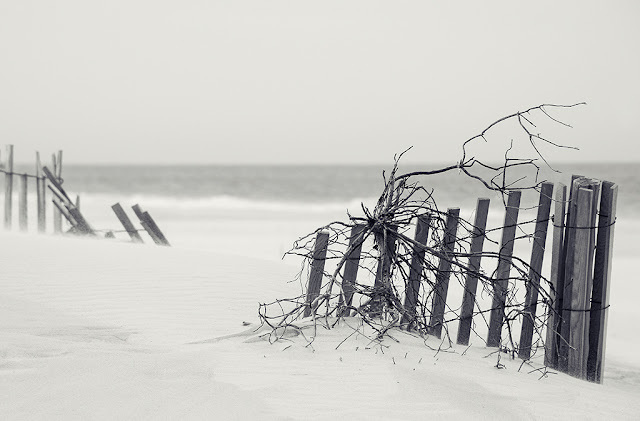 I tried to capture the beauty of the beach as winter had left her! No footsteps except mine, no beach umbrellas, no fishing trucks on the beach, just nature at her finest! All the images here were processed in Photoshop with Nik Silver Efex Pro 2 and or Color Efex Pro 4. I will be leading a workshop at the beach the weekend of November 8-10, 2013. Hope you can join me then!